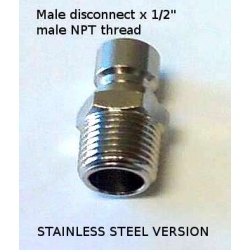 1/2" Disconnect - Male x 1/2" NPT male - screws into a 1/2" NPT threaded Ball Valve or other 1/2" NPT female threaded fitting. Spring type disconnect. 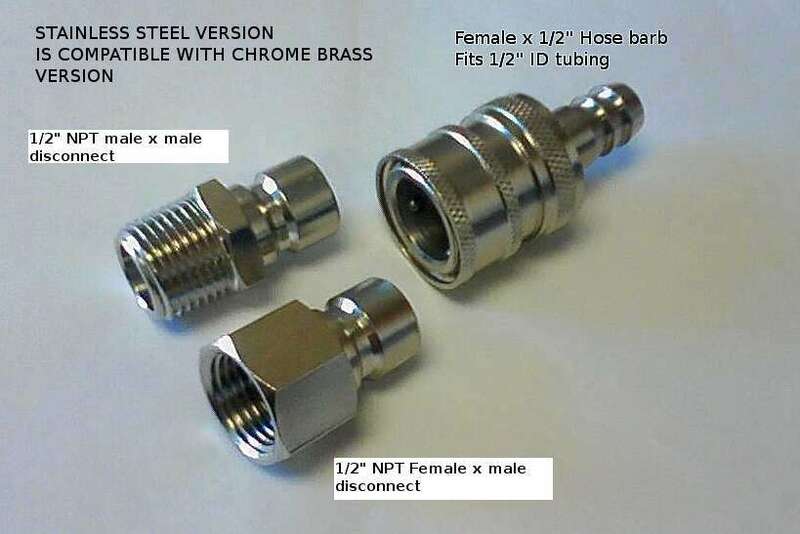 Pairs with Female x 1/2" Hose barb type of connector shown below.